Almost finished my Quicksilver Shawl. 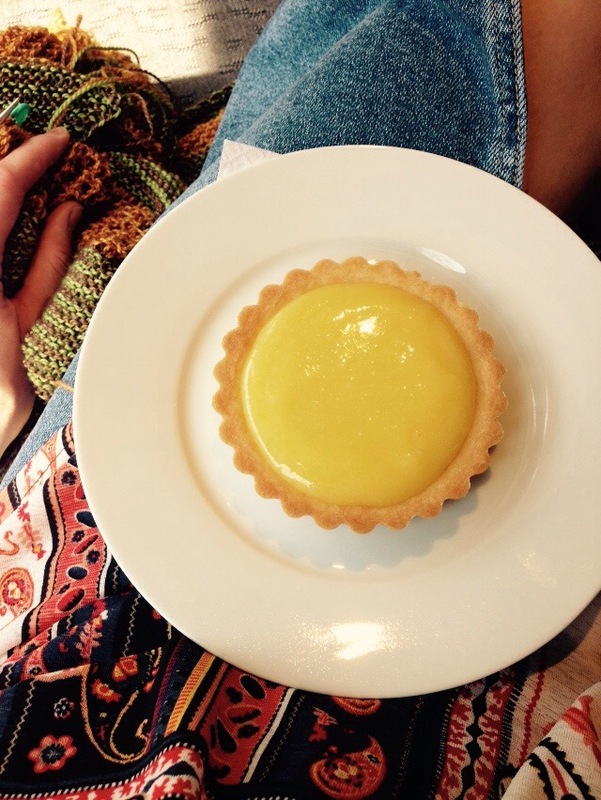 Look at this lemony tart from Frais Catering. Perfect on this beautiful sunny day.